Building To Impress, Buildings to Amaze. 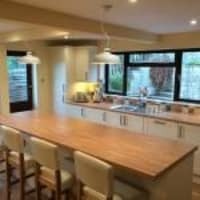 Bespoke Building & Carpentry are a construction company based in Weston-Super-Mare serving somerset and the Southwest of England providing our customers with top quality service, hassle free. We work hard to have customers for life. 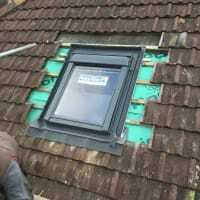 No matter how big or small the project, when you work with us, we will provide you complete piece of mind and confidence that your project will be completed to the highest possible quality. The bespoke team recently renovated our conservatory. Before the winters were cold and summers too hot letting in far too much sun meaning it was unbearable to use in the hot months. We now have a tiled roof and the room is now more of an extension than conservatory. Very happy with the end result, they worked quickly and efficiently with the least disruption as possible. Thanks very much for all your hard work. Glad you are so happy with the work. It will make a huge difference now ready for summer. Enjoy!! Bespoke are building next door. We are now in to the forth month of building works, and numerous conversations and promises about access constantly being blocked. We have had to endure builders looking in to our property in an intimidating manner, workers arriving on site before 7am in the morning, drilling on a Weekend including Sunday, an obstruction to our satellite dish and loss of signal, a lack of communication on when the builders would be arriving on mass with vehicles to block our access, and weekly promises of the owner sorting the parking out all to no avail. Yesterday again my partner came home to find the access blocked even after I had messaged to say she would be home after 5pm, at 6pm it was still blocked. My partner exchanged text messages with the owner and told him I was on a day off today so he needed to make sure the access wasn’t blocked, however I’ve found it blocked again this morning. Full of false promises beware if you plan to use them. Unfortunately the small drive to gain access to the property is the only way to get to the house we were working on, we had advised your landlord of this before work started and advised about the disruption this work may cause. We moved the vehicles as soon as we were asked but keeping access clear all day to the drive that leads to the houses was not possible as we needed tools and equipment near the job. Once we were informed about the satellite issue we called for an engineer to attend and paid the all engineer fees. 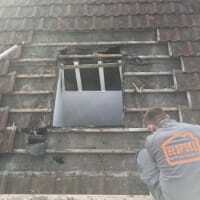 Apologies if you thought the builders were looking into your property but they had no choice but to walk near your windows as the work was being out next door so this was unavoidable. As you had complained about the work being carried out we did work weekends to speed the job up as to not cause you any more issues. 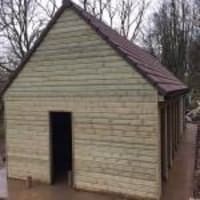 Weve manged to finish the renovation ahead of the time planned and hope you enjoyed the big Christmas hampers you accepted as a goodwill gesture. Employed for skylight replacement. Polite workers and no doubt they work hard. 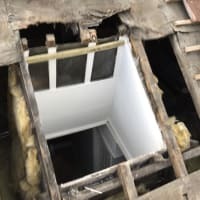 However, they used second-hand materials for roof 'fix' they insisted on (clues include rusty holes in 'new' wood), took shortcuts, and charged extra for re-structure they agreed to do for free. 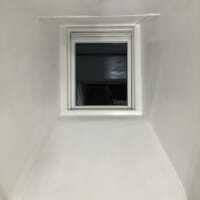 Had to call BBC back in due to membrane issue leading to leakage and apply (agreed) 2nd coat of paint to sky-light shaft. Notified BBC about the painting December 2017 and the leak in March 2018 and still trying to get them to assess! Numerous appointments cancelled, we took time off work to meet them at the property for them to come round. No shows, then have to chase up. Told numerous times they will ‘get back to me’ but hear nothing for weeks on end until I chase. They requested for us to leave a key, but felt we couldn't based on their previous integrity. Basically, unless you are a new customer they don’t seem interested in returning to assess or rectify the previous work they did. Customer service is terrible. 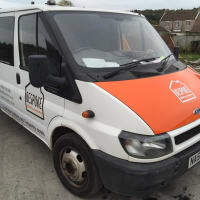 I can assure you none of the materials were second hand, weve attempted to come back to add the paint required but not been able to gain access. Pictures have been added to show the work carried out. I was delighted with the work Jack and the Bespoke team did for me. I had an extension built that was built exactly how I wanted it. Jack regularly communicated with me and kept me up to date with the work ensuring I was happy with everything and making sure it looked how I wanted it. I'm thrilled with the finished product. 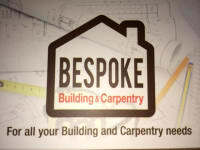 Would recommend Bespoke Building and Carpentry, great work but also great customer service! Thanks guys!